This Back to School Guide is bursting with so many options for lugging lunches and food that we’ve had to divide it into two parts! Here’s part one of our comprehensive look at what’s fabulous in housing school lunches! It’s a well-known fact that kids just love anything with their name on it. And a lunch bag with their name, well that’s just the bee’s knees! 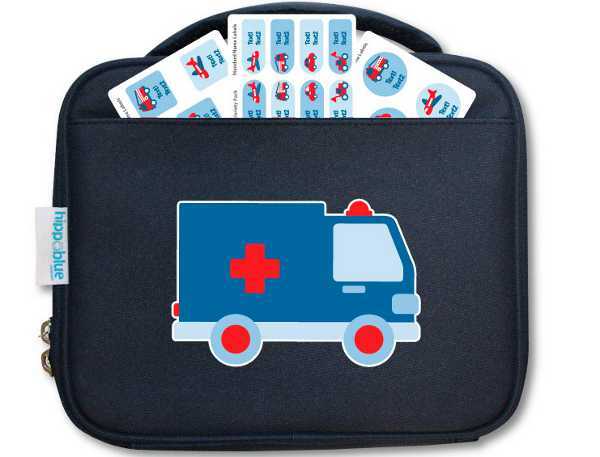 Hippo Blue has these great Personalised Lunch Bags, which come with thirty-two free mixed name labels. And the labels are vinyl so they can happily be used on things that need to be washed, like drink bottles. The lunch bags keep food and drink cool and fresh, thanks to the insulated water resistant lining. They cost $14.98 from Hippo Blue. These retro-cool lunch bags are so adorable! These insulated Apple and Mint Lunch Bags keep food and drink cold for up to eight hours, thanks to a freezable cooling panel, and the exterior is easy to clean. The handle easily clips onto a backpack, and they come in a range of designs. They’re available from Apple and Mint for $32.95. Bright and bold lunch boxes are great for kinder kids, so they can easily recognise their lunch box sitting among many others. These Stuck On You Personalised Lunchboxes are also great for name recognition. They have foil insulated lining, a carry handle and front pocket, and cost $29.95, from Stuck On You. 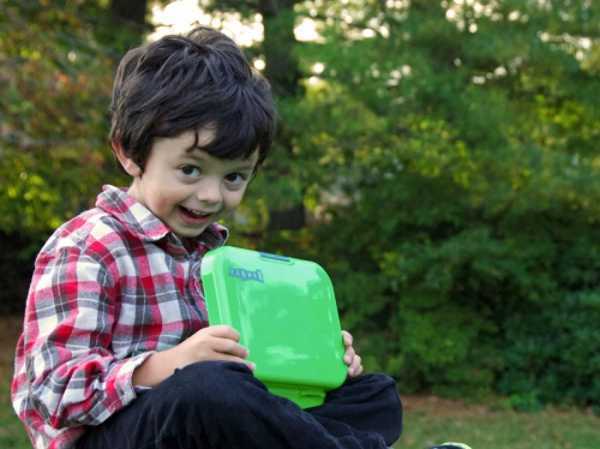 If the bento craze has taken hold of your child’s lunch box, you’ll love these Yumbox bento-style lunch boxes. 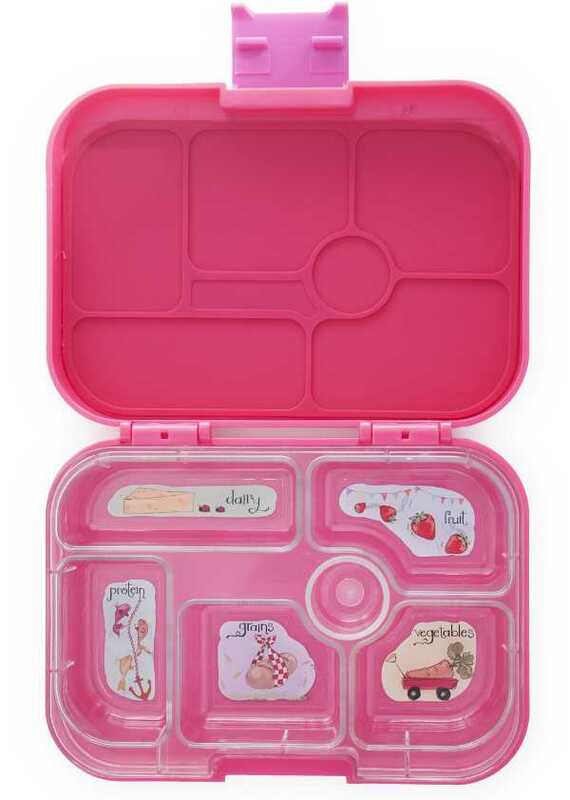 Leak-proof and a whole lot of fun, Yumboxes have a pre-portioned, illustrated tray which helps guide you to making a hassle-free and healthy lunch. The tray fits into the box, and the leak-proof lid ensures everything stays put. Available in green and pink from Mini Hippo, they cost $34.95 each. 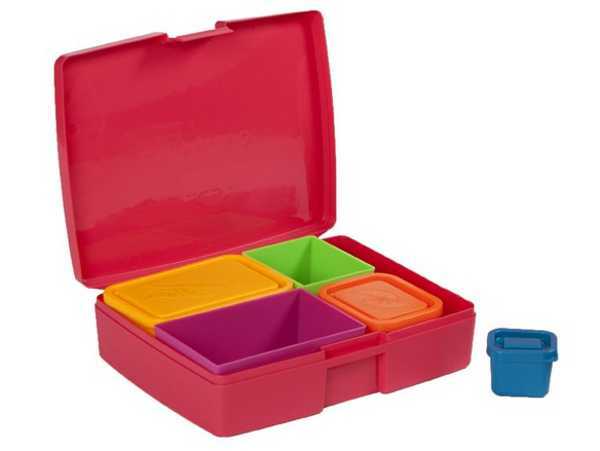 Another beautiful bento option is the Laptop Lunches Bentoware Bento Lunch Box Set. It does away with the need for packing lunches in disposable bags and single-serve packages. With one outer lunch box, three lidded, water-tight, leak-proof containers and two containers without lids, there’s plenty of room for a variety of munchies. It’s $30 from Haggus and Stookles. If your kids are after something a little unique – have a look at what Spencil has to offer. 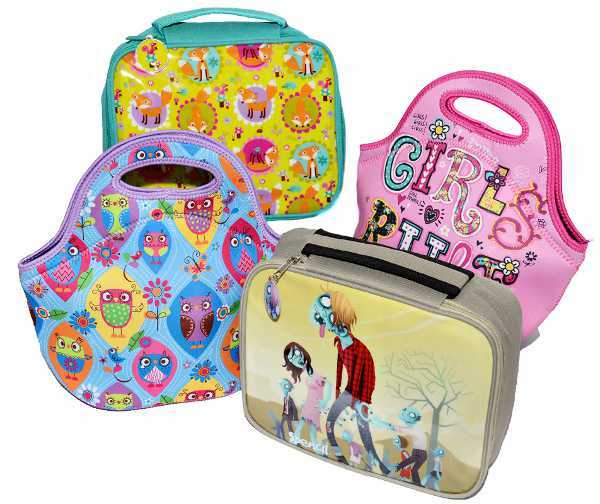 They have a big selection of lunch boxes and lunch bags. The neoprene lunch bags are washable, and the lunch boxes are made from soft canvas, with a zip closure. The lunch bags start at $11.95, while lunch boxes are $10.95. 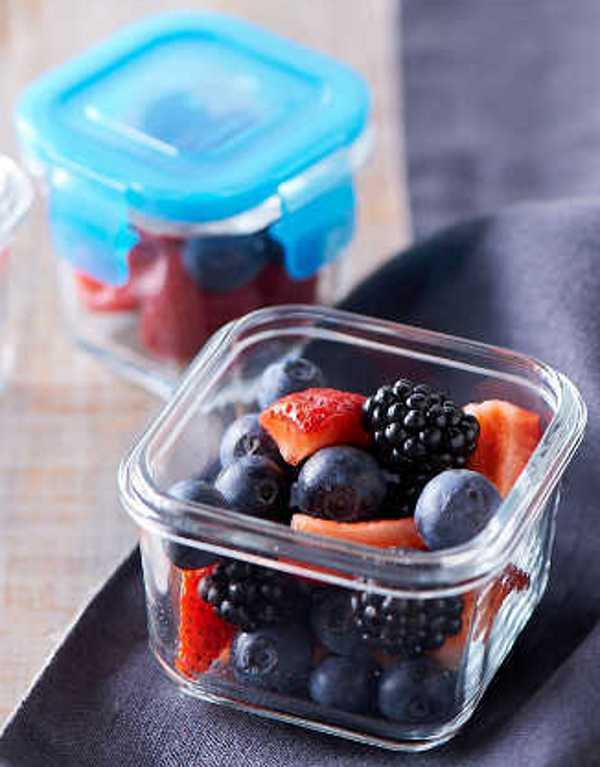 These Littlelock tempered glass food storage containers are great for school lunches – and they also have a million and one other uses in the kitchen. They won’t leak, are free of any nasties like BPA and they are freezer, dishwasher and microwave safe (without their lids). Perfect for yoghurt, berries and snacks, a set of three 120ml containers is $24.95, and set of three 210ml containers is $29.95. Not every child is keen on sandwiches for lunch – and of course variety is the spice of life, so why not mix up lunchtime for the kids? 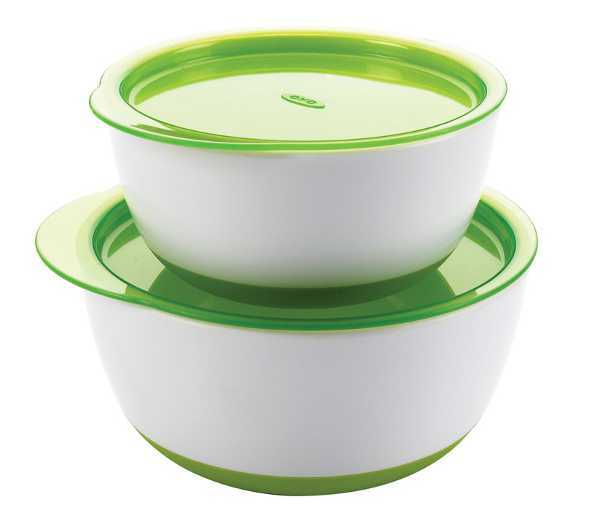 The Small & Large Bowl Set from OXO are perfect vessels for creative school lunches. They have stable, non-slip bases and snap on lids to keep lunch fresh. The set is available from OXO for $9.99. Keep an eye out for part two of this guide tomorrow.